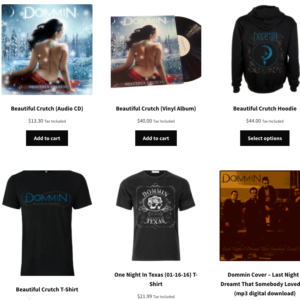 Dommin has signed a distribution deal for the album RISE with German-based Eternal Sound Records. Starting early next year, RISE will be distributed throughout Europe and the U.K.
Dommin have announced a one-off headlining show titled “One Night In Texas.” The show is scheduled for January 16, 2016. For details and tickets, please visit the SHOWS page. 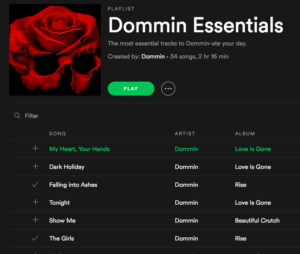 Kerrang Magazine Online premiered the collage lyric music video for The Quiet Man from Dommin’s album RISE. Be sure to visit Kerrang.Com to watch! 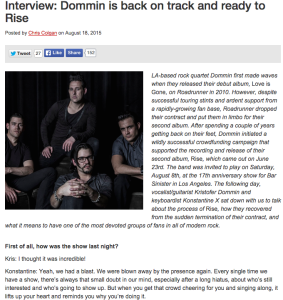 Dommin has confirmed their performance at Bar Sinister’s 17th Anniversary Event. Bar Sinister is a staple in the Goth/Industrial scene in Los Angeles. 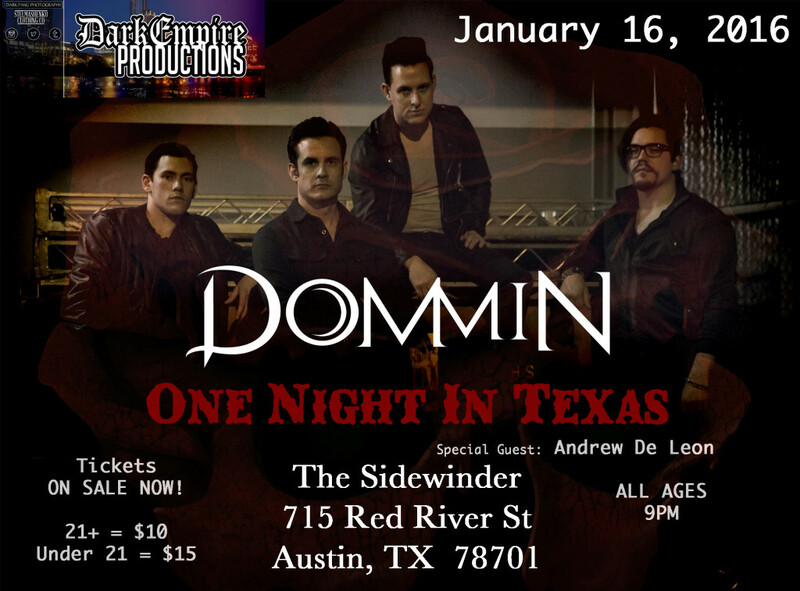 Dommin has performed at this club several times in the past and is now returning to support the night’s 17th year running, opening for Tina Guo. With Gift Bags to all w/ 17yr Bar Sinister Tshirts Featuring a design by contestant winner Suede Souls and other awesome goodies! Very Special Giveaways and Goodies from The Stockroom, Shrine, Vampire Freaks, Kreepsville 666, Schecter Guitar, Shayne of the Dead, Cleopatra Records, Yxtabay, Dark Delicacies, Cupcake Couture, Infectious Threads, Rivithead, Drey D Bones, Vinyl Dolls, Monster A Go-Go, Babylon Gardens Apothecary & More!! … And of course the SINISTER GO GO GIRLS! Dommin has posted a new song called “Matter Of Time” to a cartoon short from Walt Disney Symphony called The Clock Store made in 1931.